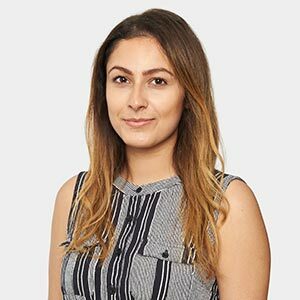 Berivan joined Morgan Has Solicitors in 2013 as a Paralegal in the Conveyancing Department. Berivan is now a Trainee Solicitor and will qualify as a Solicitor in July 2017. Whilst handling her own residential and commercial Conveyancing files, she also has experience in Landlord and Tenant disputes. Berivan works very efficiently in the department and completes matters to the highest satisfactions of her clients. Before pursuing a career in law, Berivan studied in University of Hertfordshire and graduated with a 2:1 LLB Honours in 2014. She completed her Legal Practice Course (LPC) at the same university in 2015. Berivan is fluent in three languages: English, Turkish and Kurdish.